Usually when my kids come home from ski club they’re exhausted and whining. Not yesterday. Instead, they came home bubbling about skiing, telling me about the latest tricks and the ski stars they saw. 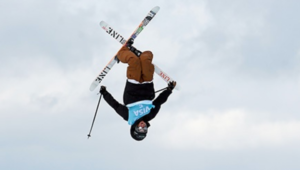 They were inspired by this weekend’s visitors: the U.S. Freestyle Ski Team is in Telluride to train for the upcoming World Cup races. 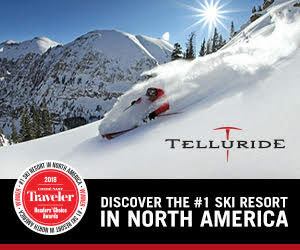 The team usually does their post-holiday training in Park City, Utah or wherever they can get a good course built, but this year Telluride is hosting—thanks to the support of Telluride Ski & Golf, Silver Star Property Management, and Element 52. The team is also holding an exhibition on Saturday Jan. 5 at noon on Hermit, with music and an announcer (former Olympic gold medalist Hannah Kearney). Olympians Mike Morris, Keaton McCargo, and Jaelin Kauf, and other athletes will also be in attendance and available to sign autographs.